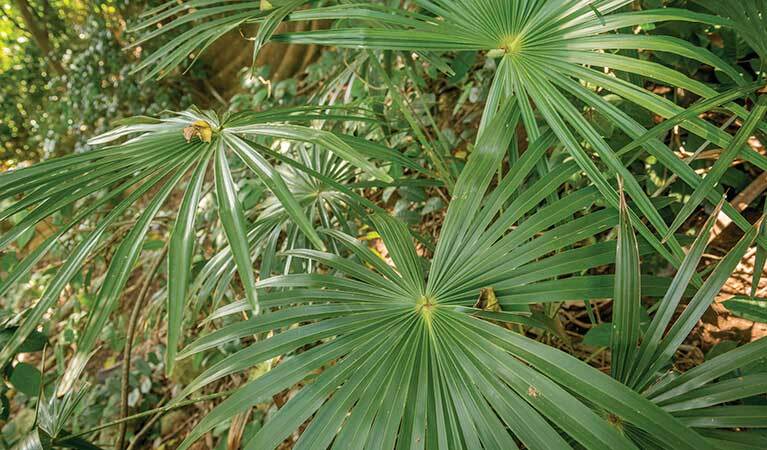 The cabbage tree palm thrives in moist sclerophyll forests and rainforest margins. 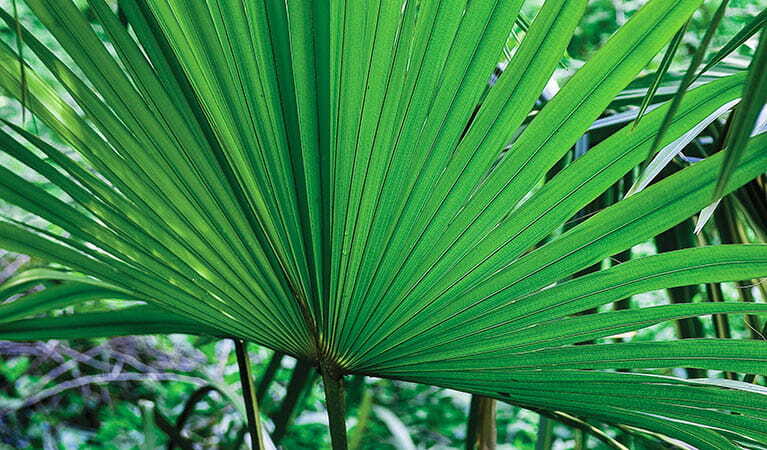 The growing tip of the palm is edible, and was popular with Aboriginal people as well as early settlers. 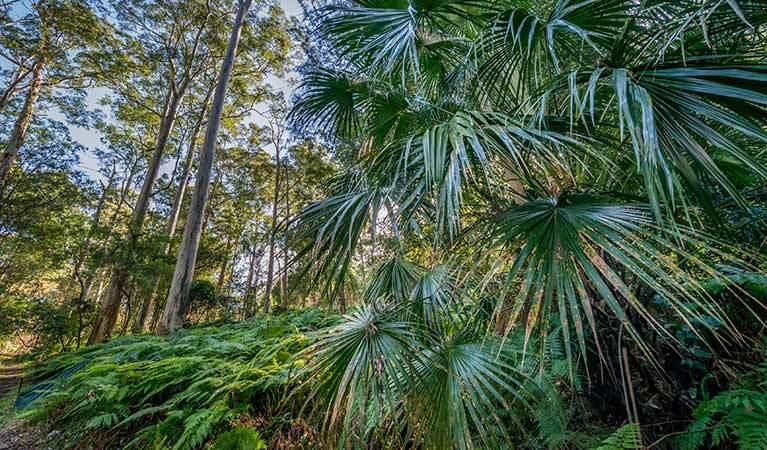 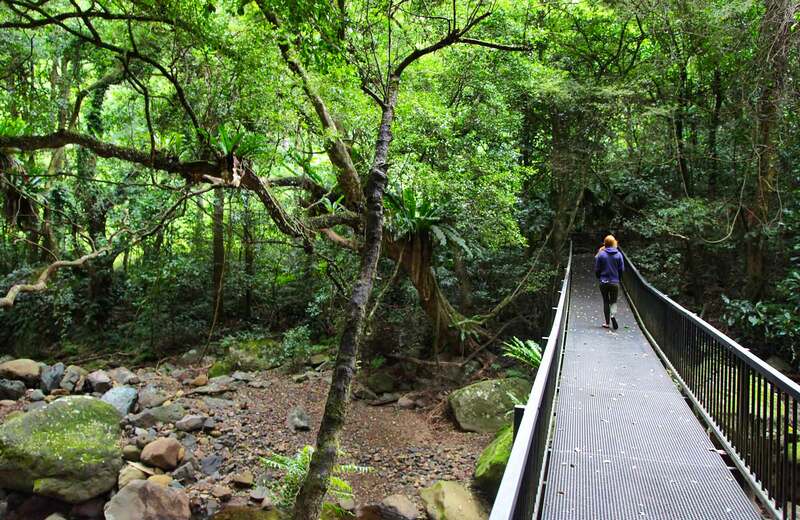 The Eora People of the Sydney Basin used the tree’s fibrous bark to make fishing lines, and its leaves for weaving and thatched roofing.